recently, I decided to add the cool SAP Document Center functionality to my Cloud Platform account. This would allow me to add access to documents and other unstructured information coming from various document stores to my SAP Cloud Platform Portal sites and my SAP Fiori launchpad in the Cloud. Of course, I first had to request the subscription, but once this was done, I decided to connect one of my Document Center repositories to a folder in a Knowledge Management repository of an SAP Enterprise Portal. Fortunately, I found this very detailed blog from Jens Koster about the connection topic and configured my Cloud Connector and a destination just as explained there. 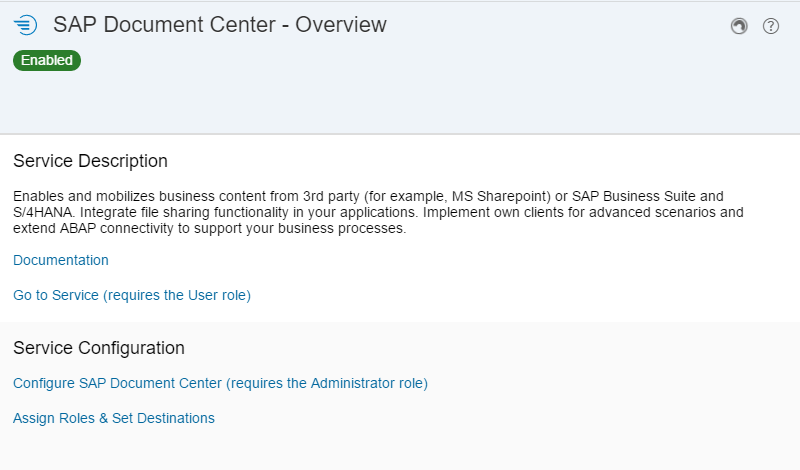 Unfortunately, I ran into problems with the next point: Configuring Connection in SAP Mobile Documents (now SAP Document Center). When I tried to access the admin interface, I got a login screen from my SAP Cloud Platform Identity Authentication tenant which was configured as custom identity provider (IdP) on my SAP Cloud Platform account and after entering my user ID and password, I got a 403 – unauthorized – error. So I needed to make sure that my user is a Document Center admin. 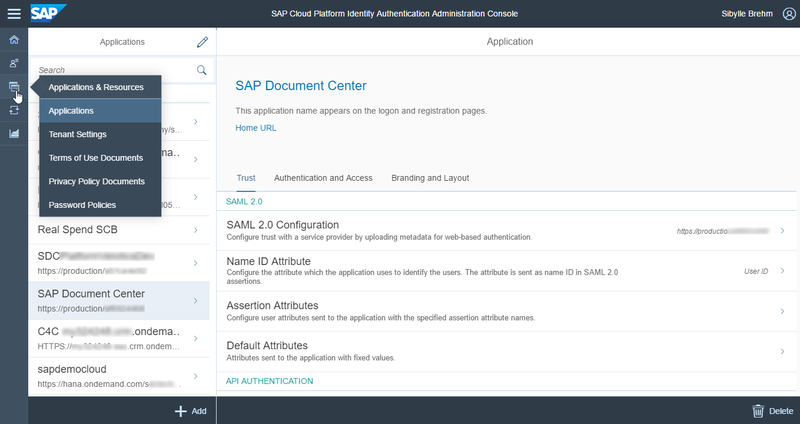 First, I opened the Administration Console of my SAP Cloud Platform Identity Authentication tenant to check which attribute the Document Center would use to identify my user. I navigated to Applications & Resources > Applications > SAP Document Center and opened the entry Name ID Attribute. There, I saw that the user ID was selected as identifying attribute which was fine with me. So I now just had to add my user ID to the Document Center admin role. There are two options to do this in the Cloud Platform Cockpit, either from the Document Center service in the Services section or from Security > Authorizations. In the Document Center service, I simply clicked Assign Roles & Set Destinations, selected the Administrator role, clicked Assign and entered my user ID (on my custom IdP). In the same way, I assigned my user to the user role as well. Now I could continue the configuration as described in Jens’ blog. Afterwards, I just clicked the Go to Service (Requires the User role) link and could access my KM repository from the end user UI of the Document Center. In a next step, I imported an app to make the SAP Document Center available in my SAP Fiori launchpad running on SAP Cloud Platform. As far as I know, this app should now already be available in your SAP Cloud Platform account once you activate the Document Center Service, but I I can’t promise this.